The Curse of the Blackened Heart Demo - Epic adventure map featuring custom music, bosses, and more! 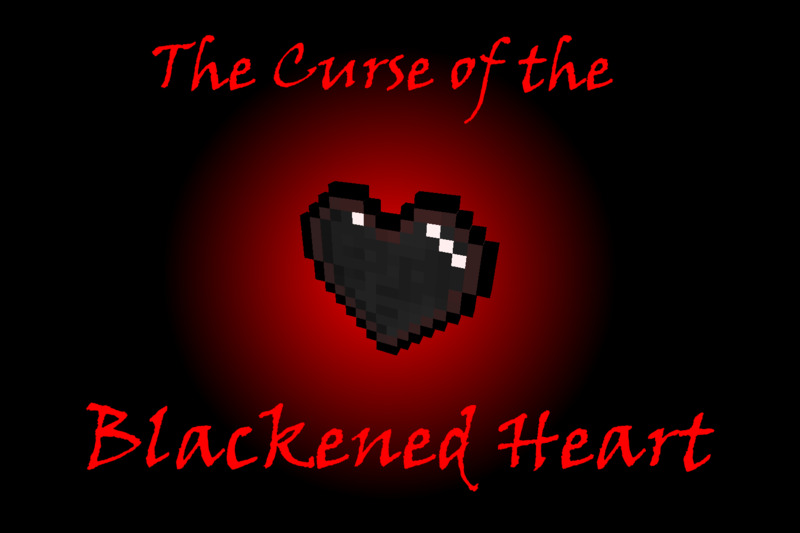 An island plagued by danger... a quiet mining town said to be cursed... enter the epic world of The Curse of the Blackened Heart! Navigate through the caves of Dayle in this demo, and try not to lose your hearts! 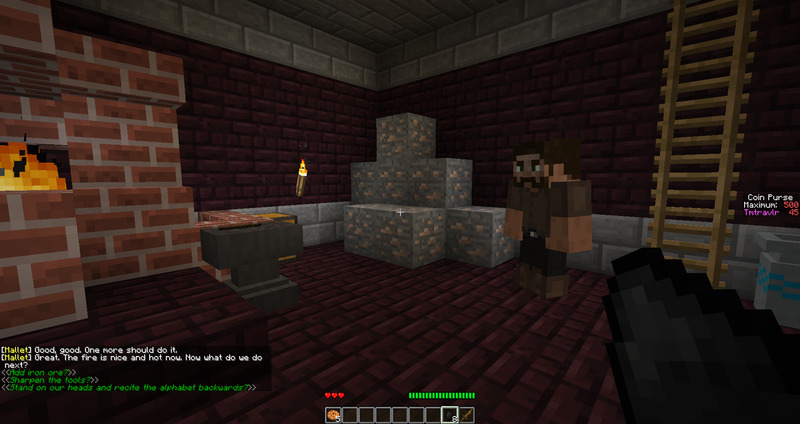 This map features custom music (which I made myself =D), interactive dialogue, cool custom items, and more! This map started out when I was playing with command blocks, trying to recreate some of the game mechanics of the legend of zelda games, and they turned out so well I figured I would use them to make a really awesome adventure map! Don't expect a legend of zelda map though; this map has an original story, which, well, you'll have to find out for yourself. This is just the demo; The full map will be released in three parts, and will take a long time to complete. Expect awesome things to come! 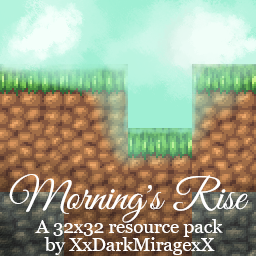 Download the map and resource pack above. This map was made in 1.11.2; I can't guarantee it will work with any other version. This map supports multiplayer up to any number of players. The resource pack has bulit-in support for Optifine! If you do use optifine, to get the glowing effect to work, turn 'Fast Render' OFF under 'Performance...'! You can also use mods with this map. 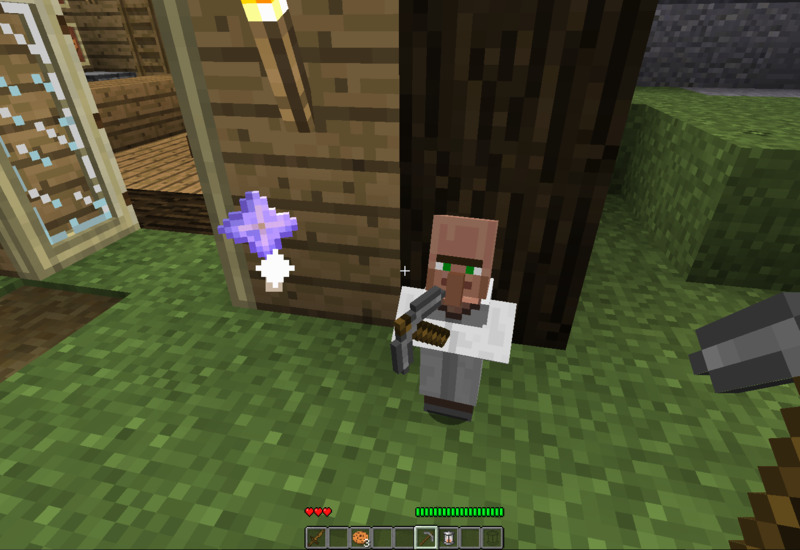 HOWEVER, Forge still doesn't support custom armor attributes (which this map relies heavily on), so if you want to use Forge, you will need a mod that fixes that, like Armor Recalc by TheOldOne22, or Potion Core by myself (I'd recommend Potion Core, as it also fixes a couple other vanilla bugs related to changing dimensions and logging out and back in). Everything here was made by myself (Tmtravlr)! Please let me know below if you find any bugs! I have tested the map quite a bit, but it's always possible to miss something. Also, nearly every piece of text in the map is translatable, but sadly I don't know any other languages well enough to translate it, so if you want to help support the map by translating it into a new language, send me a pm! Woah,man! 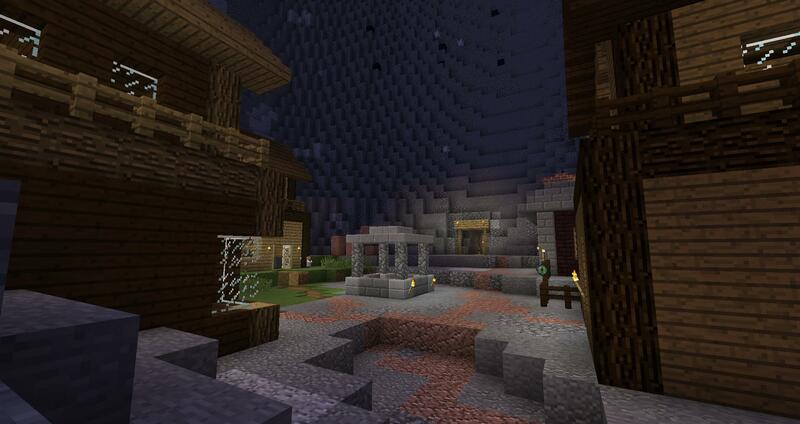 Aside from making lucky block addons, it looks like you are really good in making maps! You should get a lot of support. Btw. I thought you've disappeared (no offense) because i don't see you active in months. But the effort behind the map, it's worth it! What should I do after forging my iron sword? By the way, I'll give this map a 9.5/10, great map! Did you talk to Stewdus after making the sword? 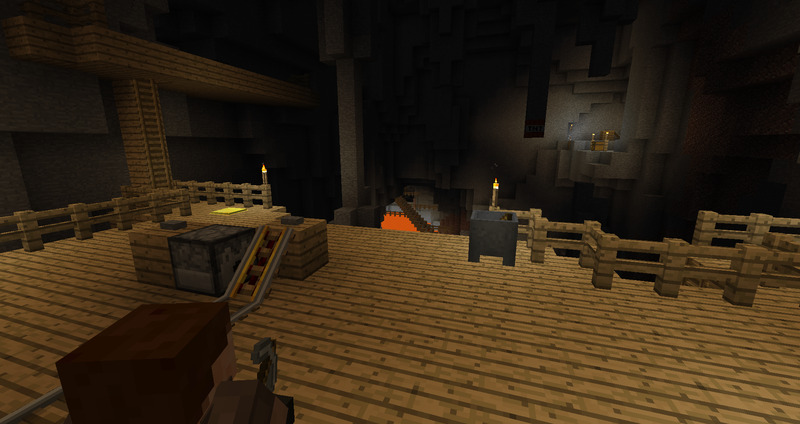 Yeah, I didn't realize the lantern could light TNT without fuel until I was testing the map. I can't do much about it though... It's a vanilla Minecraft thing (if you ask me you shouldn't be able to use the flint and steel on the TNT if it doesn't have the can place on TNT tag... But oh well). This is probably one of the greatest map demos I've ever seen. It's so much like Legend of Zelda, while not being obvious about it. My only problem is that I found out that you lose a max heart when dying after falling into lava, and I wish someone would have told me that before hand. Yeah, it did say so in the options at the beginning, but maybe it wasn't clear enough... One thing I do like about legend of zelda is if you do fall in lava/out of the world (that sort of thing), you only lose one heart. 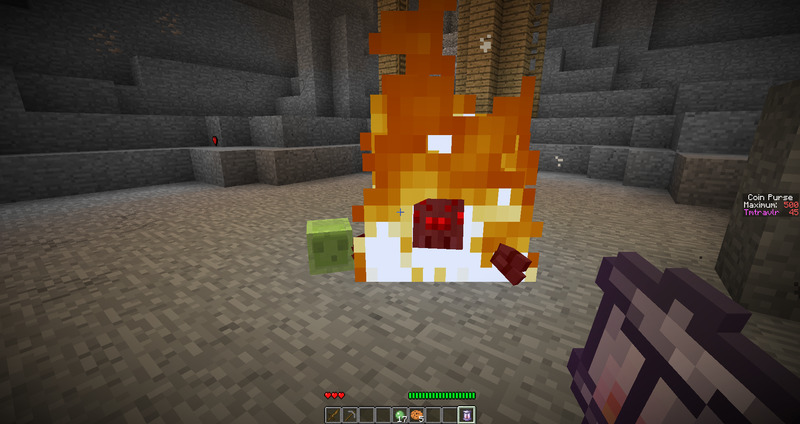 I couldn't find a good way to duplicate that with minecraft lava though... it just kills you too fast. =P Maybe I'll find a way to make it a bit less fatal when I finish the full map. This is a really cool map! Will be waiting for the rest! Aha, been looking for this map, but couldn't remember what it was called. Thanks for the bump! This map was pretty neat! Can't wait for the full release! One complaint is that there isn't enough slimes spawning to keep my lantern fueled throughout the mine level. I found myself bumping in the dark halfway through. Also, I found that there was barely any use for the coins. Perhaps there will be more stuff to buy in the future, but my food meter never drained throughout the map. 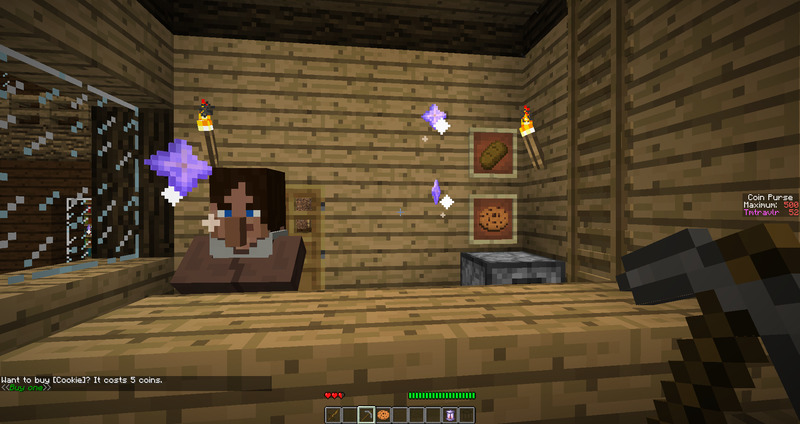 Yeah, I had set it up so you get an occasional saturation effect tick, but mojang changed how food/saturation works, so it ended up being way too strong. Indeed there will be more things to buy later. Hmm also, perhaps a shop selling lantern fuel would be useful. I'm actually waiting for 1.13 to come out, since it has some features I want to use.